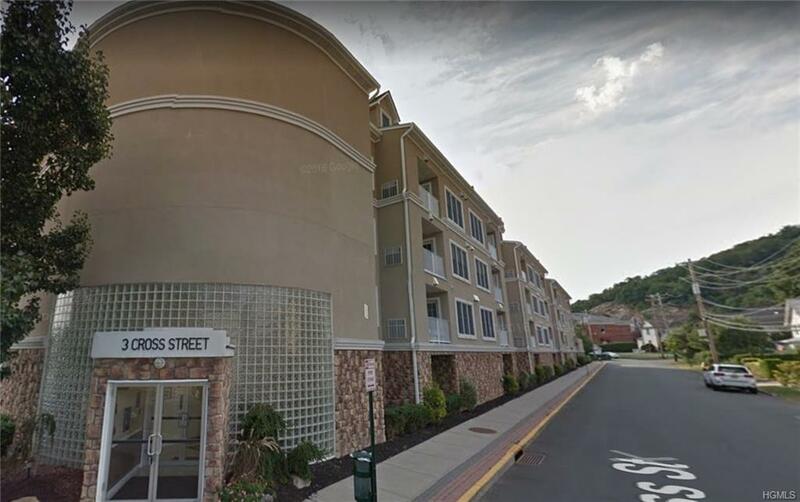 Located in the Meridian Complex in Suffern, this beautiful 1st floor unit has granite countertops throughout, wood cabinets in kitchen and baths, wood flooring in living areas and bedrooms and tiled flooring in kitchen and baths. Large master suite with a customizable walk-in-closet and gorgeous en-suite bath that boasts double sink vanity and wide shower. Crown moulding and chair rails throughout, central air, window blinds, two ceiling fans, and full size washer and dryer in unit. There is also storage in the building. The balcony faces well manicured homes facing Cross Street. The building is FHA approved and offers amazing amenities including indoor heated garage parking for 1 car, plus one additional parking in a gated lot outdoors. Two elevators, secure entry, pool w/ lifeguard, fitness room, as well as a private event room with kitchen and bathrooms for gatherings. It is located in the award-winning Suffern School district. Walking distance to a wide variety of restaurants. Listing courtesy of Kris J. Lippi of Get Listed Realty Llc.